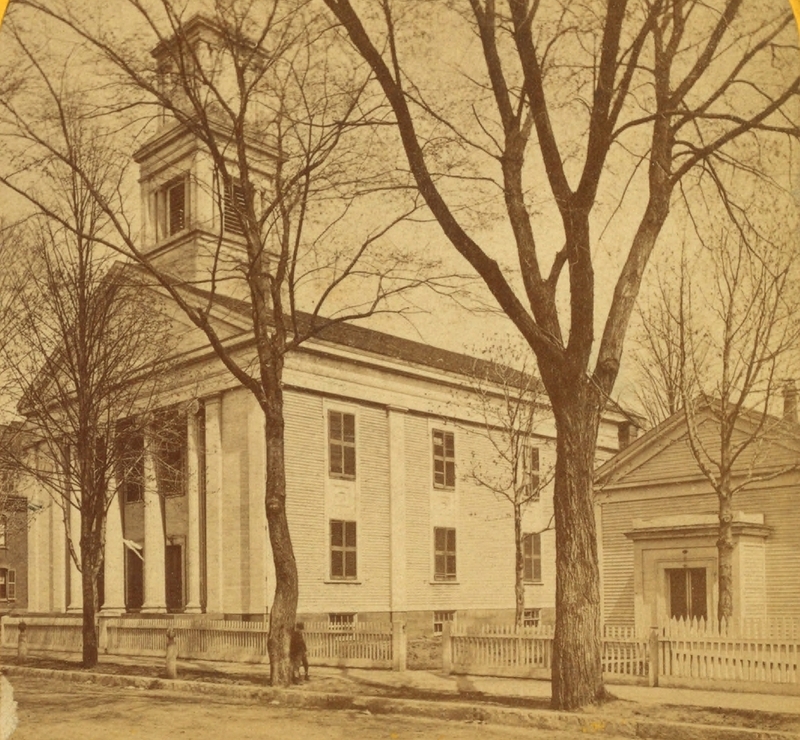 The old South Church building on Bliss Street in Springfield, probably around 1865-1875. Photo courtesy of the New York Public Library. For many years, the First Church in Springfield was the only church in town; it wasn’t until the first half of the 19th century that other churches started to form. Many of these were offshoots from the first church, some of whom left because of doctrinal differences, such as the Unitarian Church. However, others left the church on better terms, in order to form new congregations to meet the needs of the growing town (and soon to be city). The South Church was one of these. They were formed in 1842, and originally met in the parish house of the First Church before building their own church a few blocks away on Bliss Street. The first pastor was Noah Porter, who served from 1843 to 1846, when he accepted a position as a professor at his alma mater, Yale College. He later went on to serve as president of Yale from 1871 to 1886. Following Porter’s departure, Dr. Samuel G. Buckingham became the pastor, and served for 40 years. Buckingham was also an author, and he wrote a biography of his brother William Alfred Buckingham, who was Governor of Connecticut from 1858 to 1866 and a US Senator from 1869 to 1875. During Buckingham’s tenure as pastor, the church outgrew the building on Bliss Street, and in 1875 they moved to a new location on Maple Street. South Congregational Church is still there, and still meets in the 1875 building. Meanwhile, on Bliss Street, the old church was demolished by 1884, which was the year that the Women’s Christian Association built a boarding house on the site. 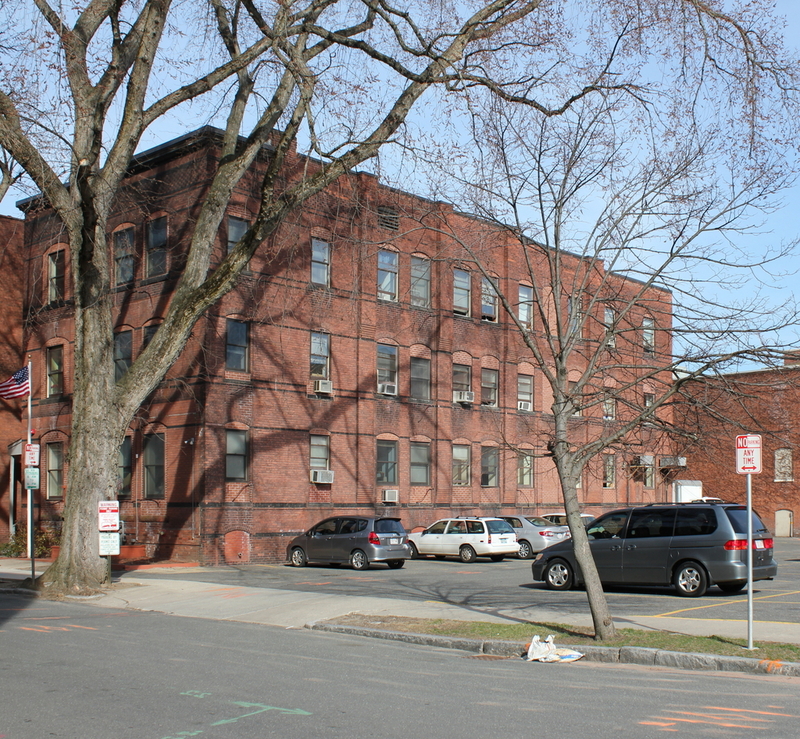 That building is still there as of 2015, serving as the home of the Springfield Rescue Mission, although it is scheduled to be demolished later in the year to make way for the MGM Springfield casino.